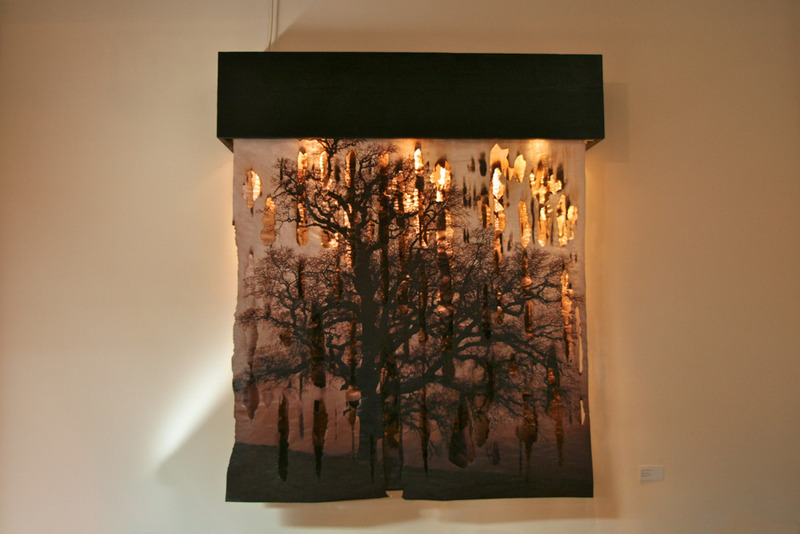 Jonah’s works are as much a product of his education as his background— born on Foster Mountain in Willits, California, raised on a historic homestead at the end of red dirt roads, and educated in a one-room schoolhouse. 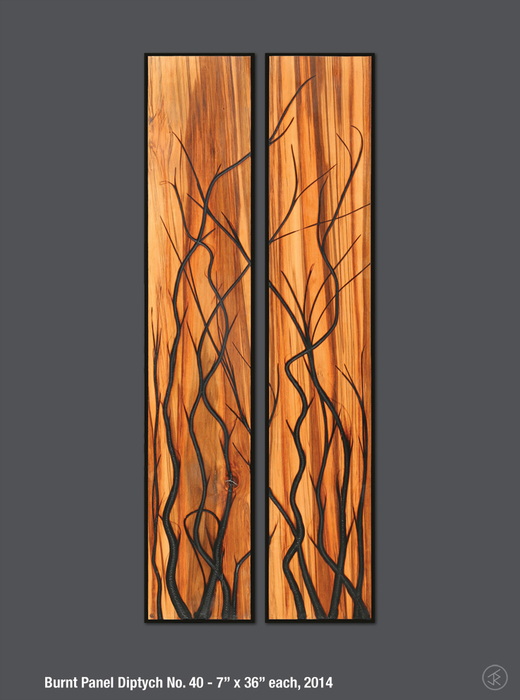 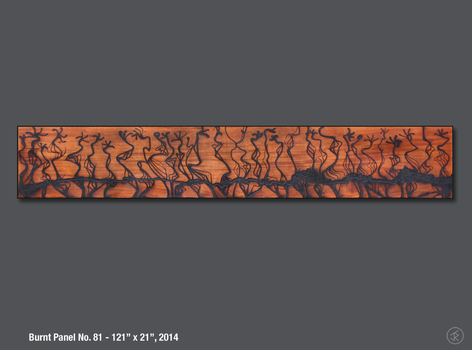 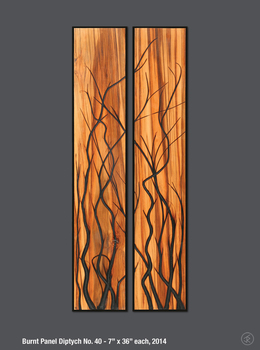 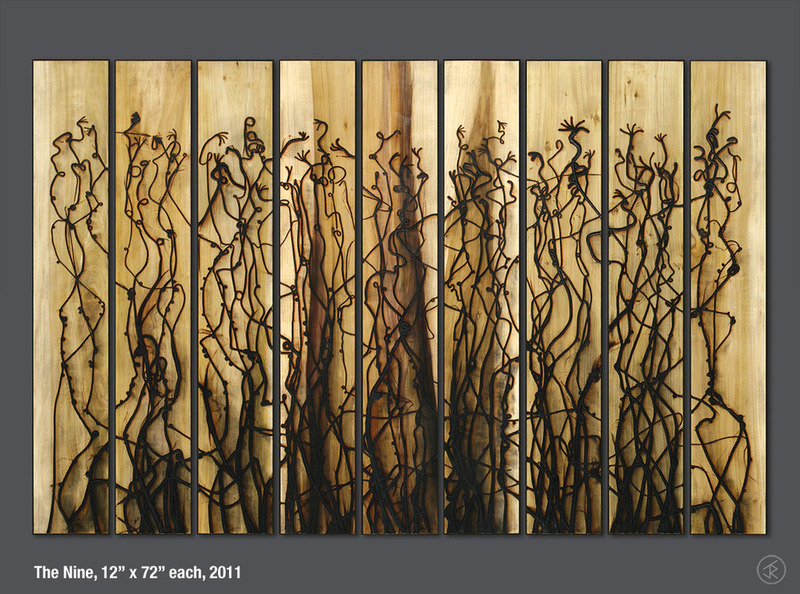 Through his art he continues to cultivate his dialogue with nature. 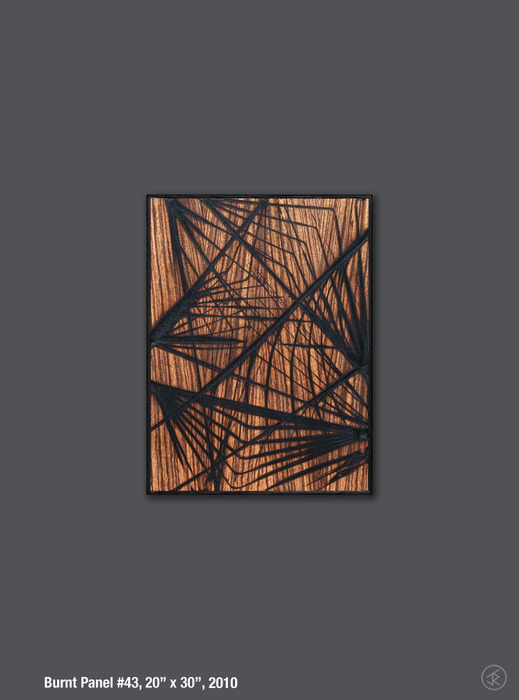 While requiring sustained physical interaction with natural materials, Jonah’s works are also paradoxically devoid of his literal touch or imprint. 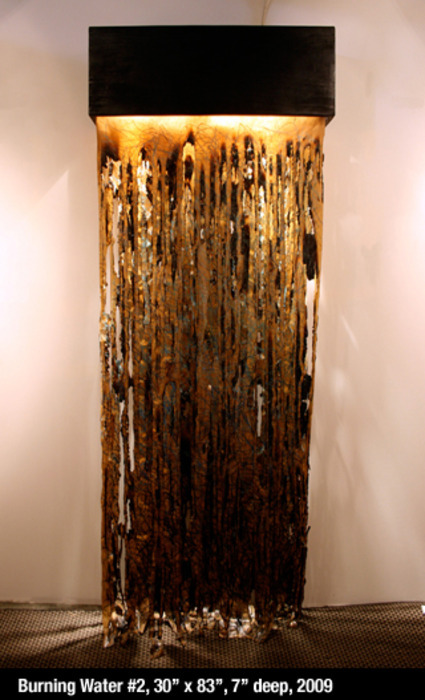 He acts more as a facilitator—harnessing natural processes and phenomenon, while also according them their proper respect for their capacity for both incommensurable beauty and destruction. 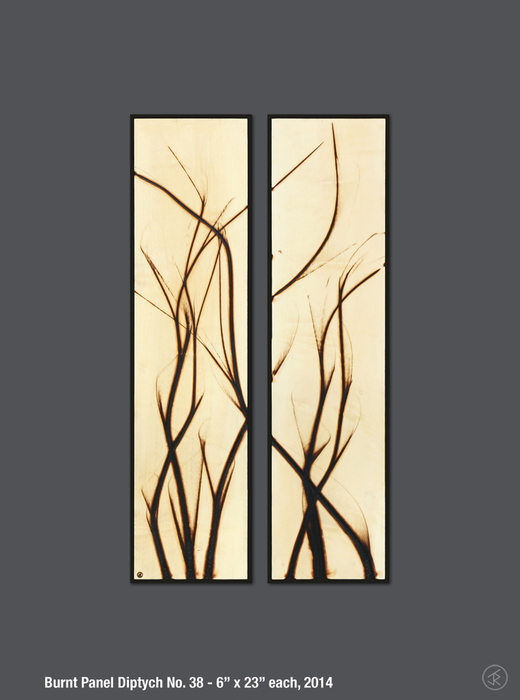 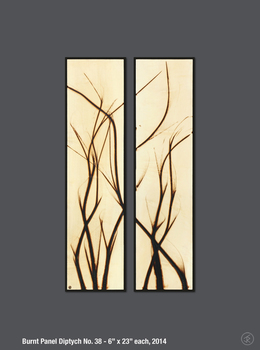 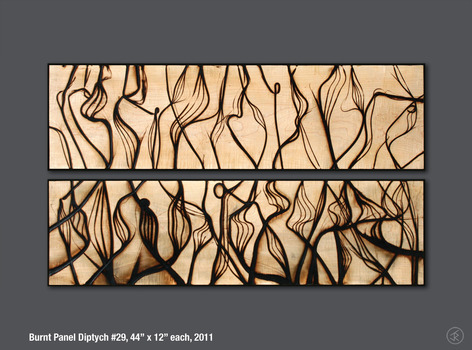 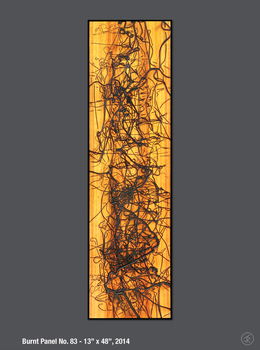 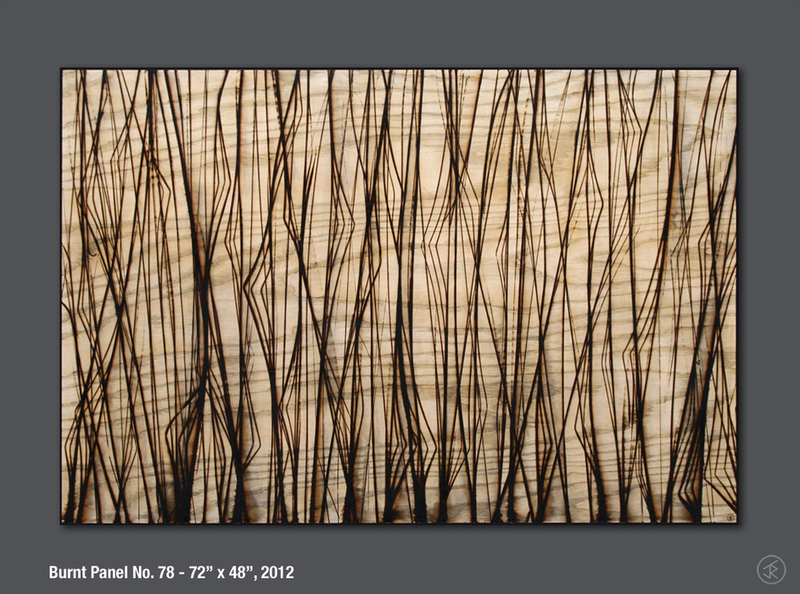 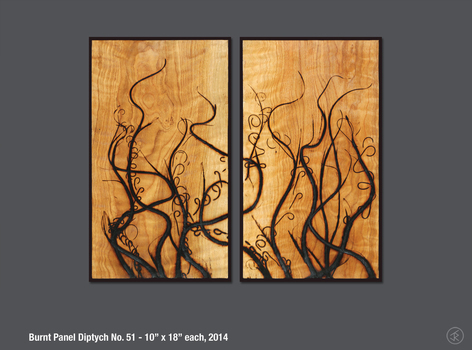 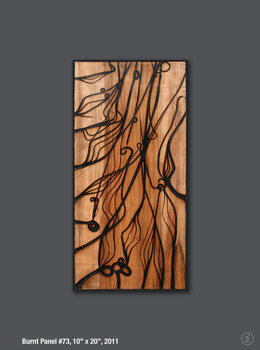 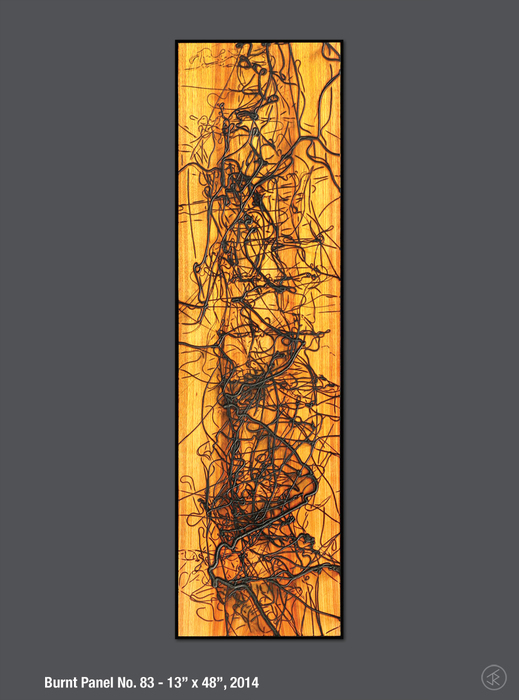 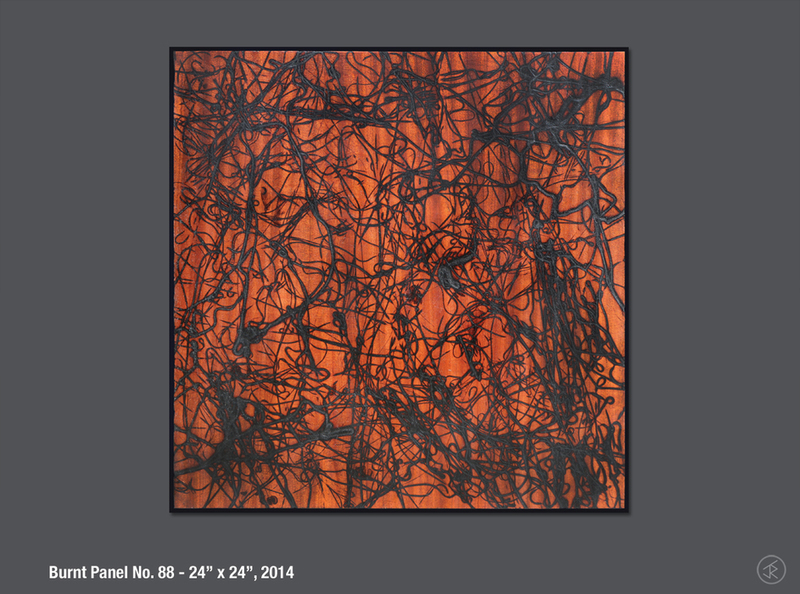 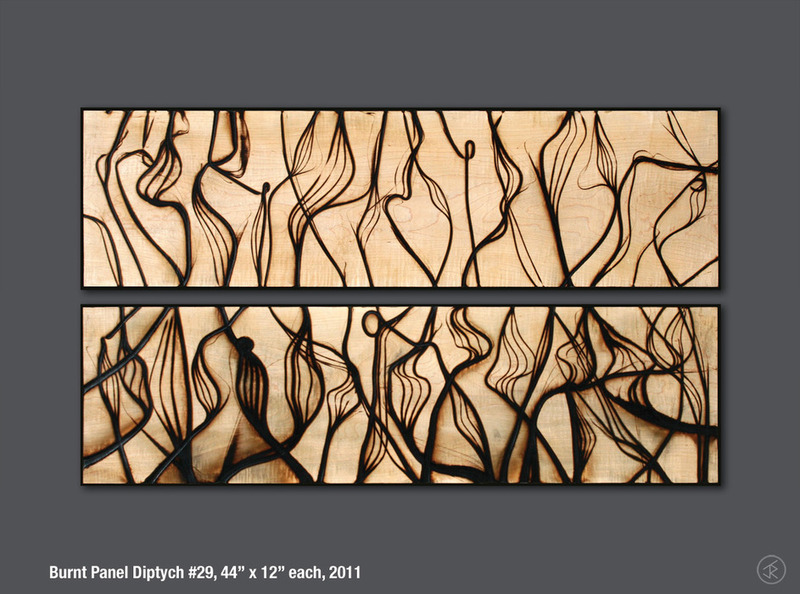 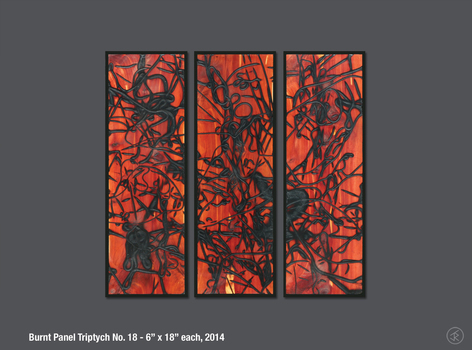 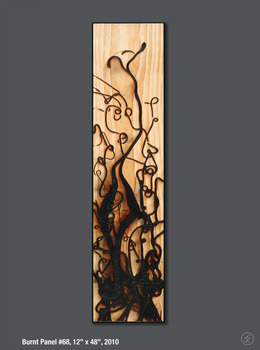 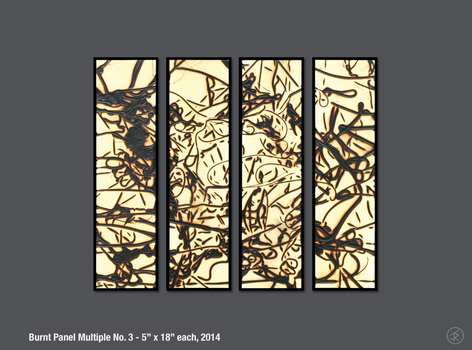 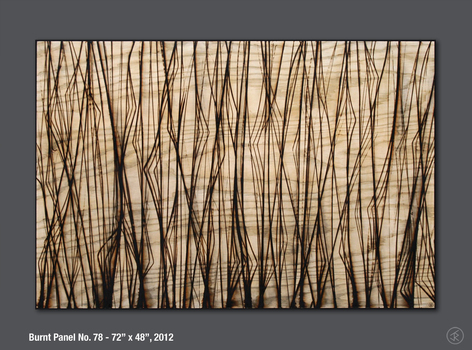 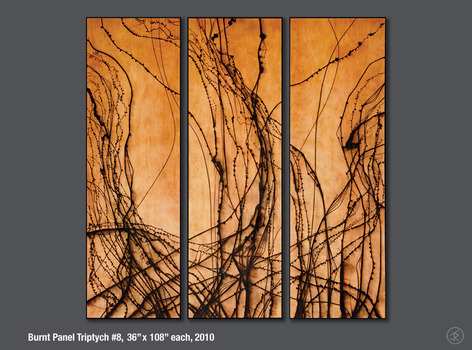 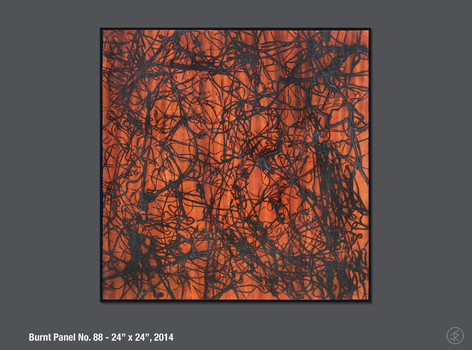 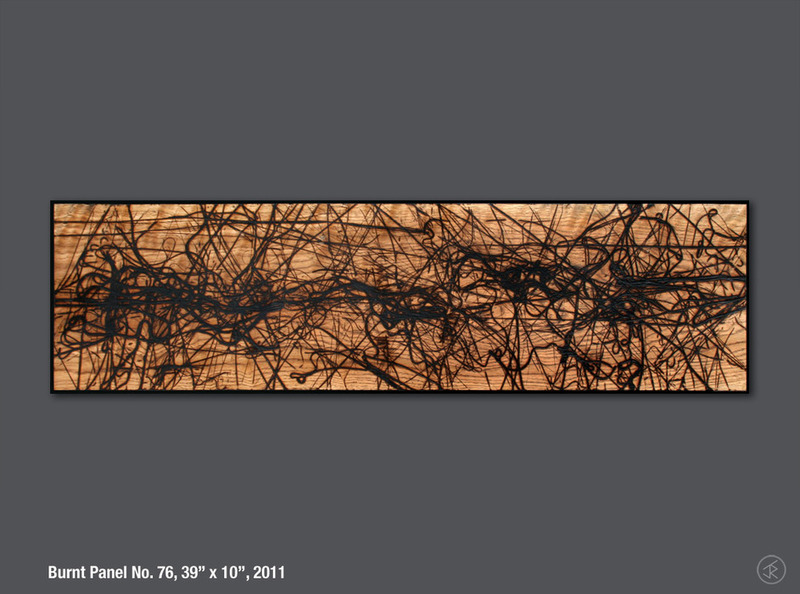 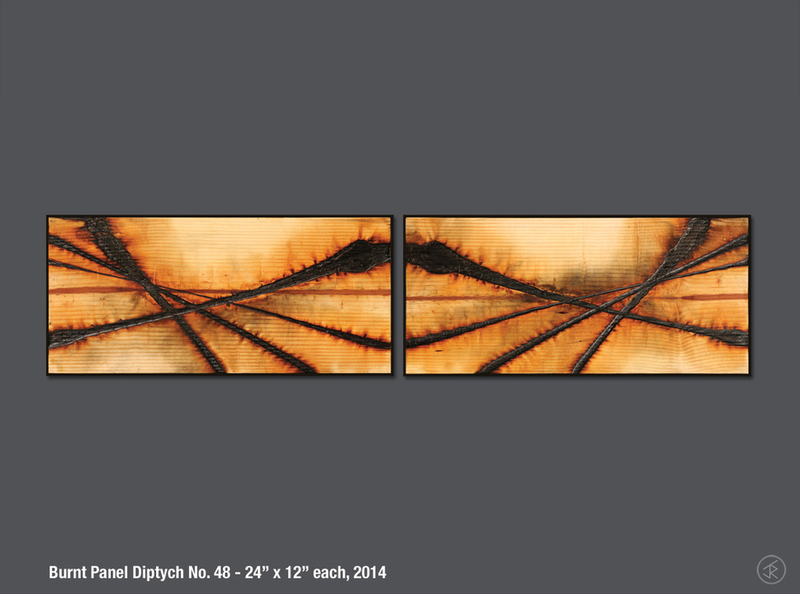 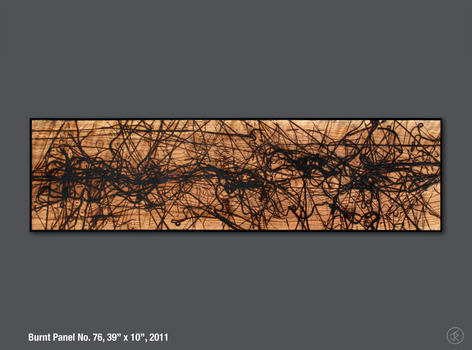 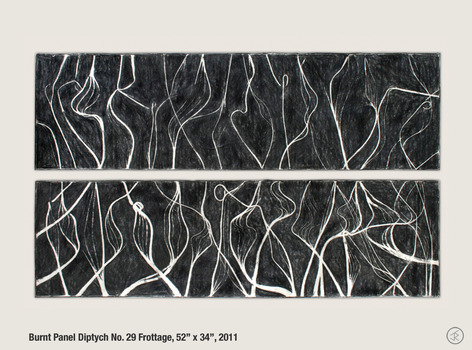 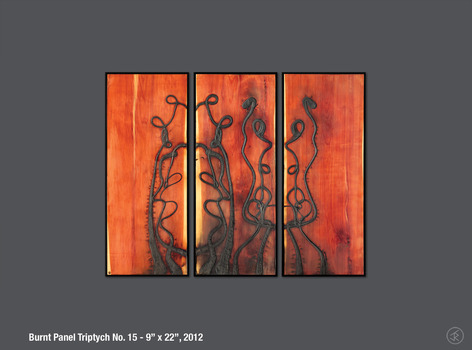 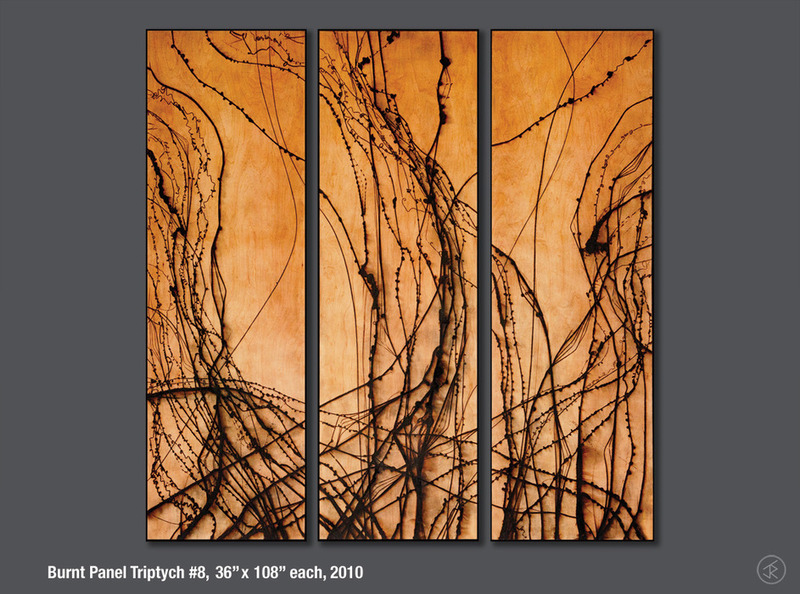 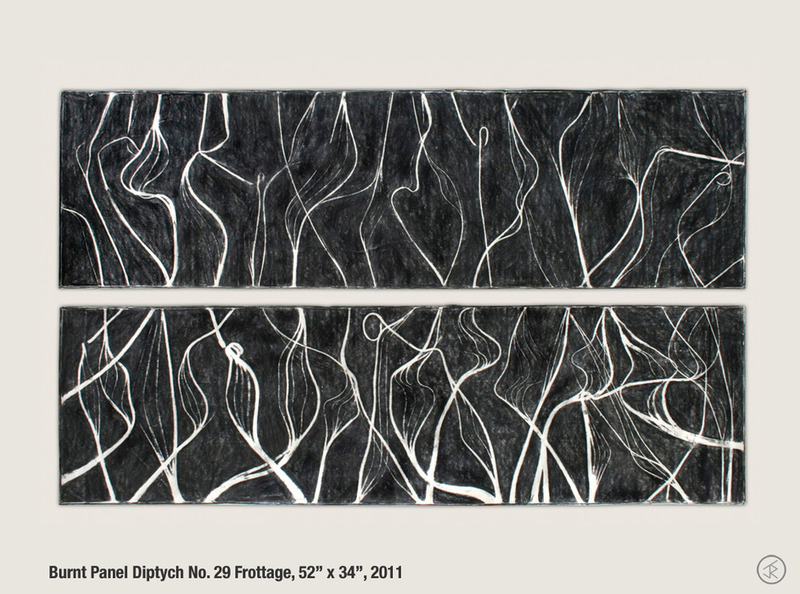 Jonah's original, and most prevalent series of work is composed of panels of wood stamped with what could be tar-like paint and printed with abstract designs and meanderings. 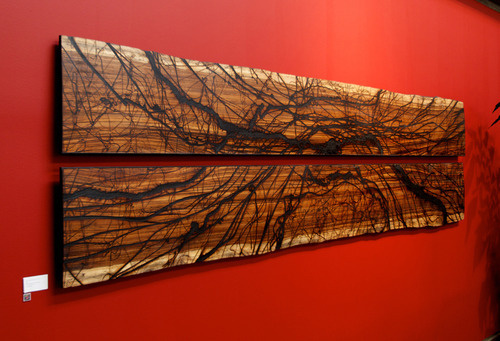 Upon closer inspection, the different woods—with their different grains, colors, and textures—are scarred with burns: what is left over when Jonah drips, ladles, presses, cools, and peels molten glass from them. 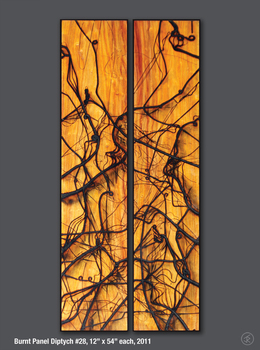 The final image essentially becomes a drawing made with glass. Pursuing his use of natural elements, Jonah combines paper, water, fire and light to create another series of work he's titled "Burning Water". 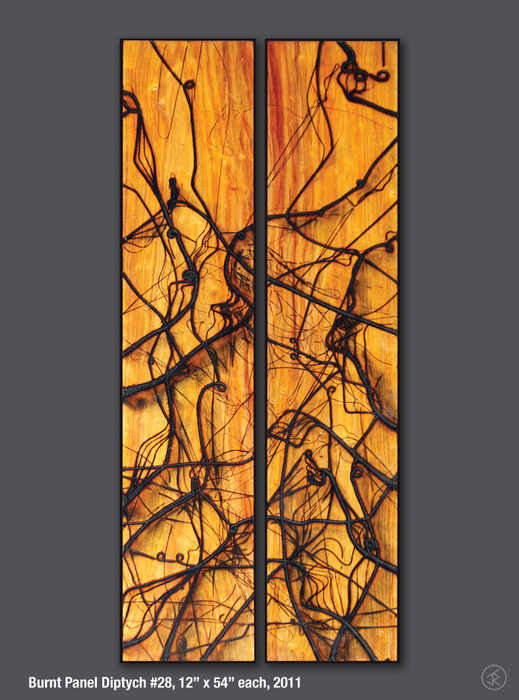 He begins this unique process by hanging up a large piece of paper that he has either drawn on, or transferred a photograph too and allows jets of water to run down the surface in streams creating multiple, uneven wet stripes on the paper. 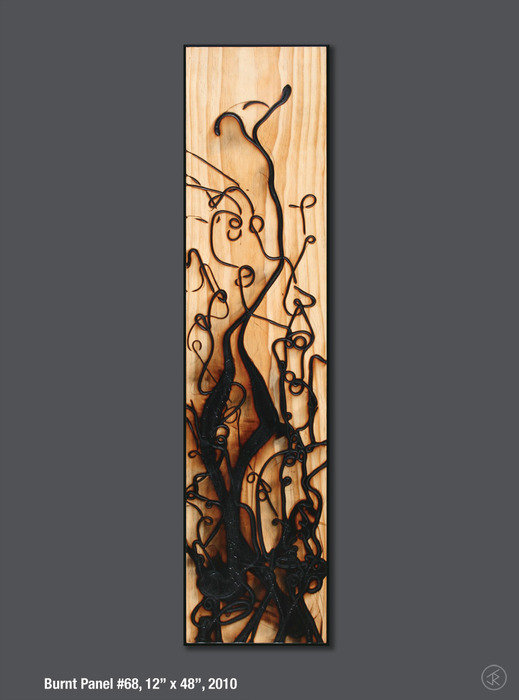 As the water continues to flow, he then scorches the dry spaces between the streams with blasts of flames from a blow torch. 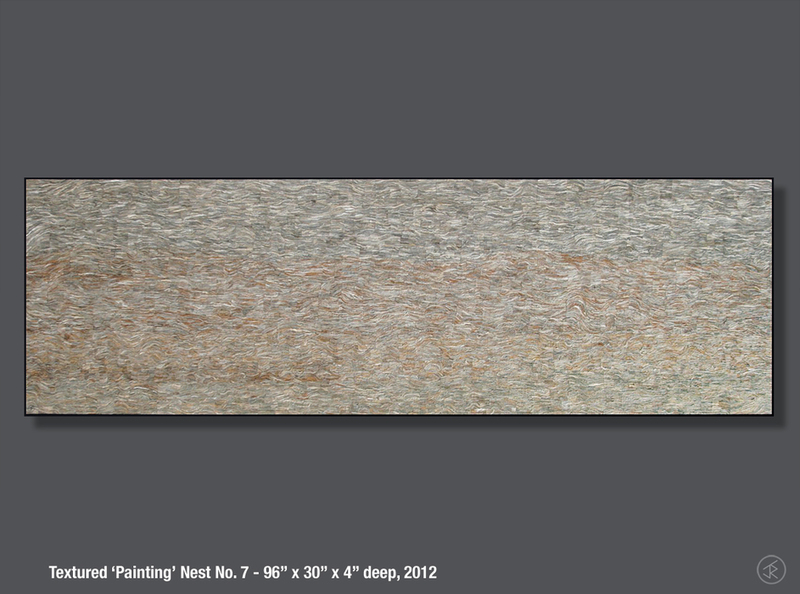 After repeating this on three more pieces of paper, the sheets are dried and sealed. They are then hung under a burnt black light box, which illuminates the now translucent paper. 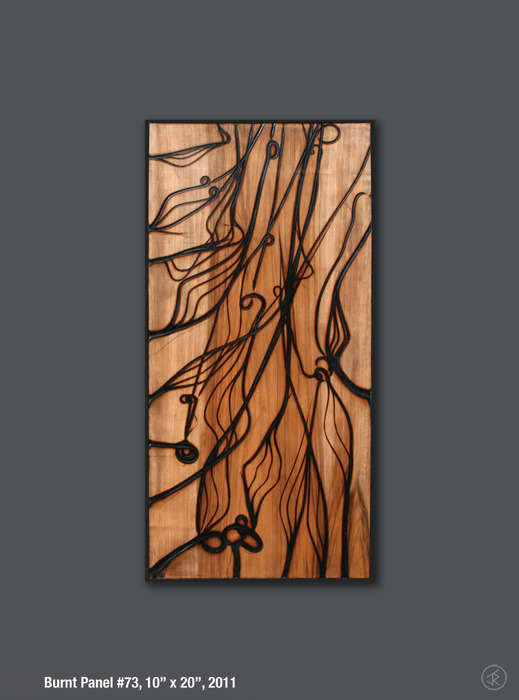 The idea is to take basic fibers and elements and transform them through an intense, almost random way to produce and capture the essence each substance used. A moment Jonah describes as "controlled chaos frozen in time". 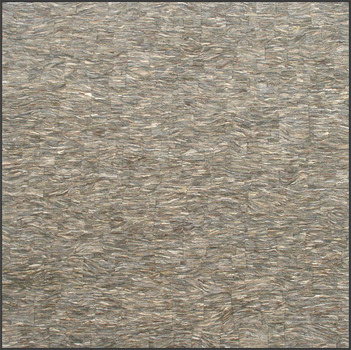 In his most recent series titled “Textured ‘Paintings,’” Jonah reinterprets the idea of what traditionally defines a painting or drawing. 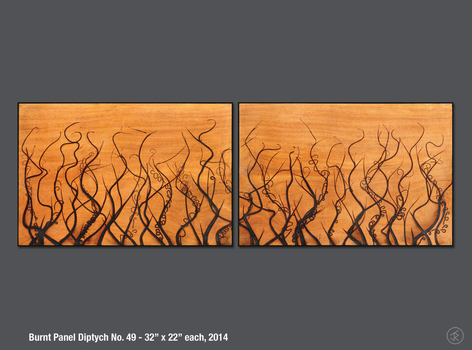 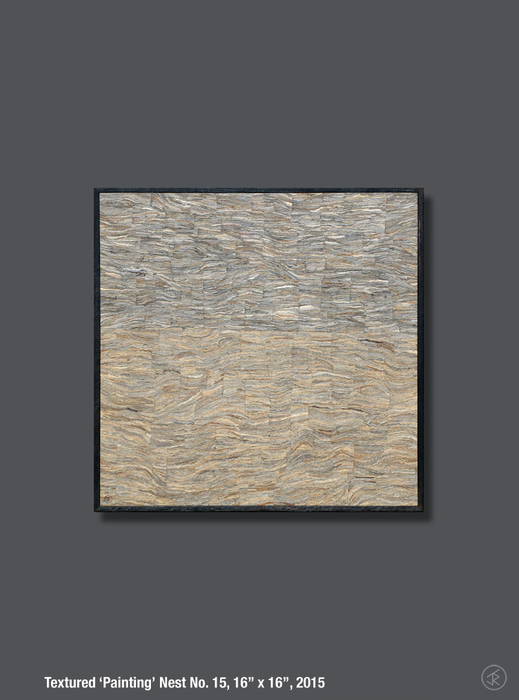 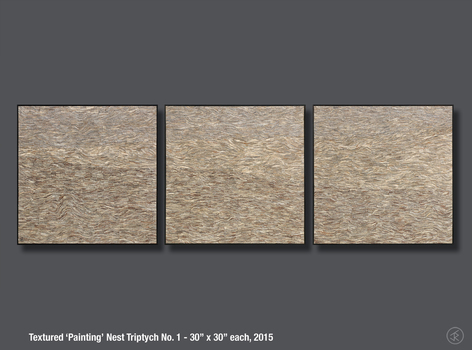 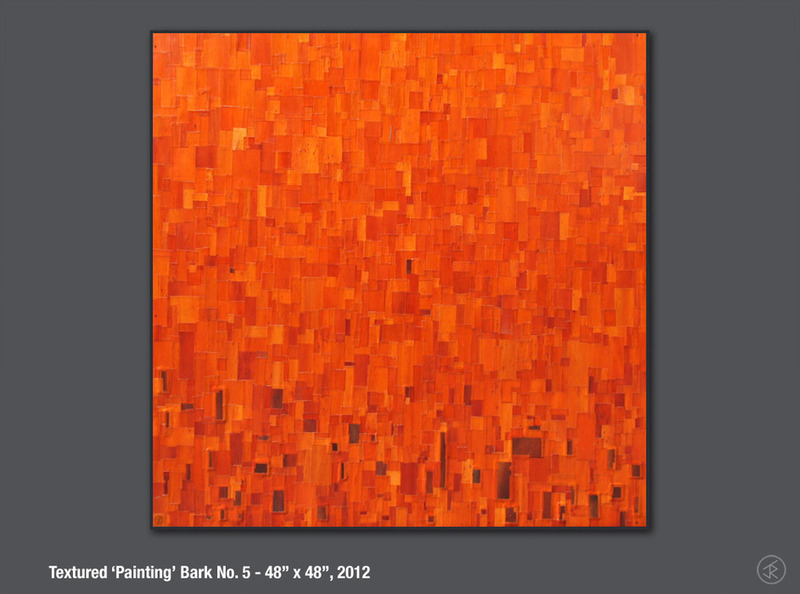 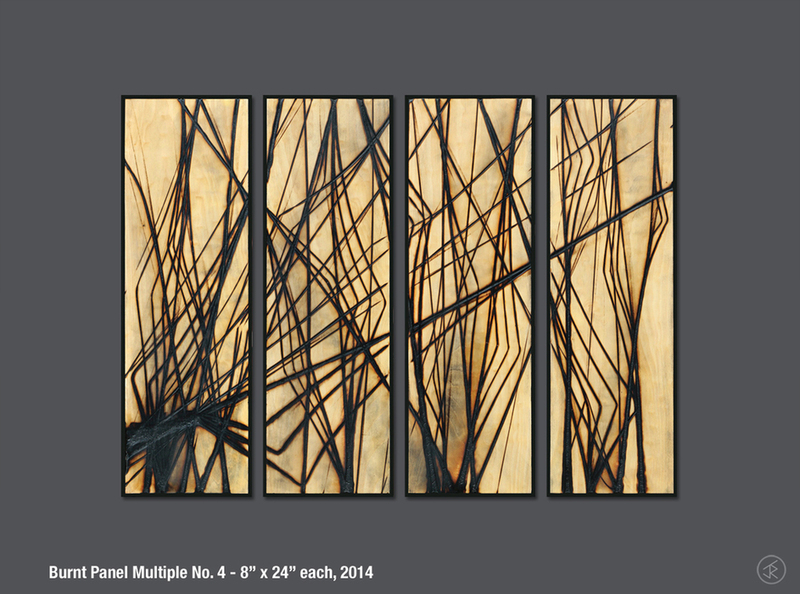 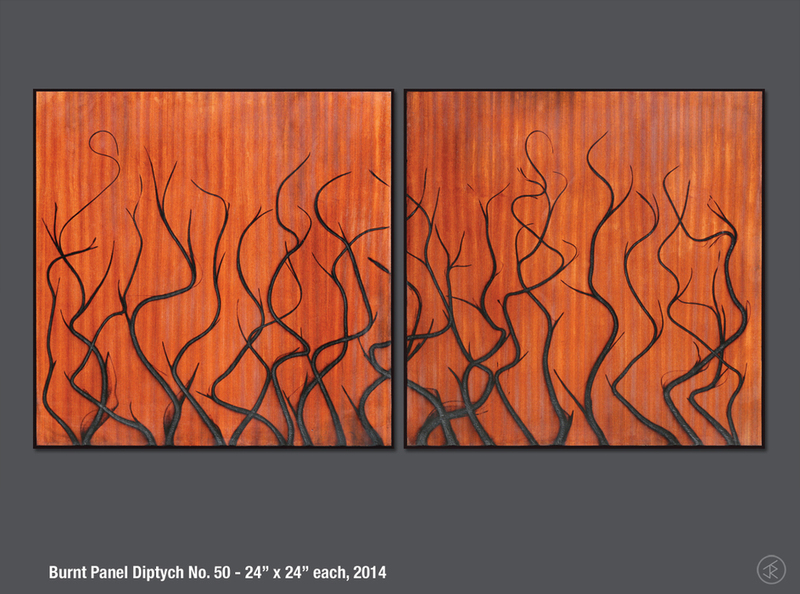 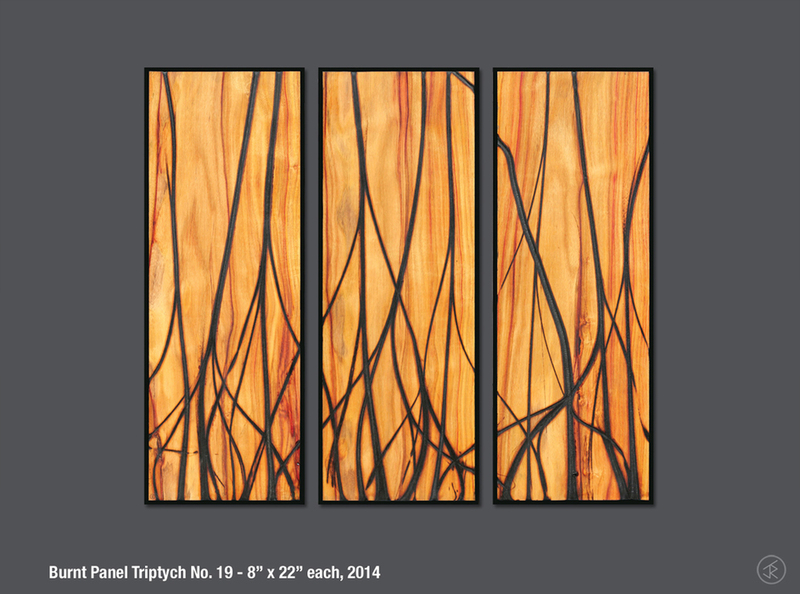 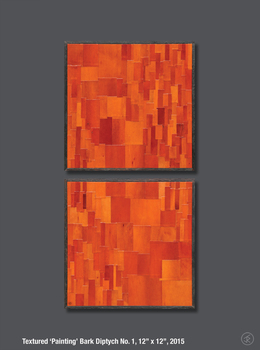 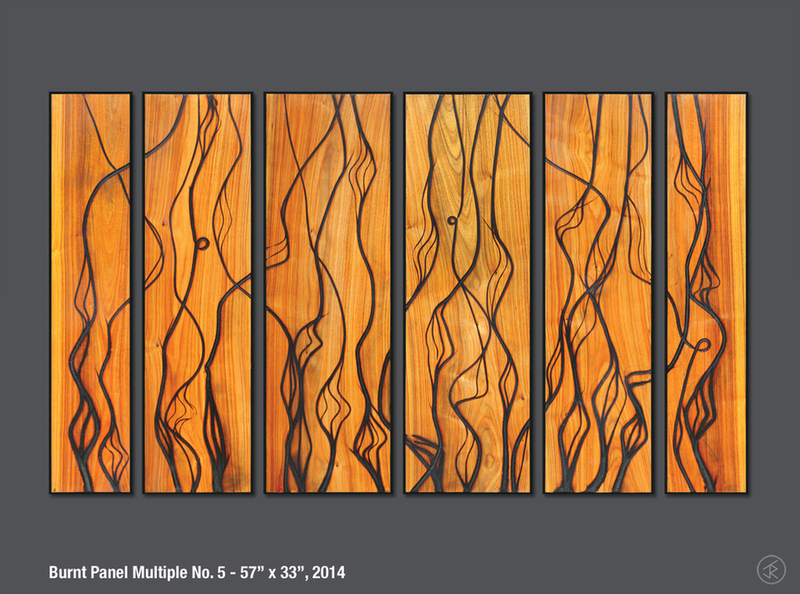 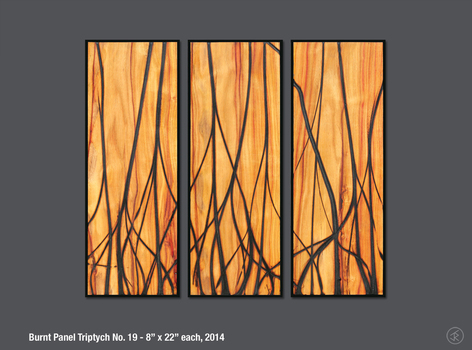 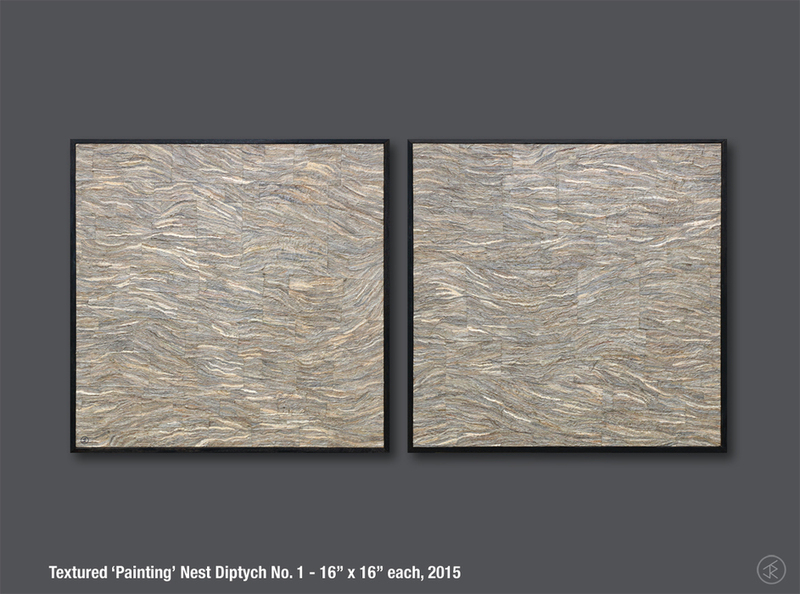 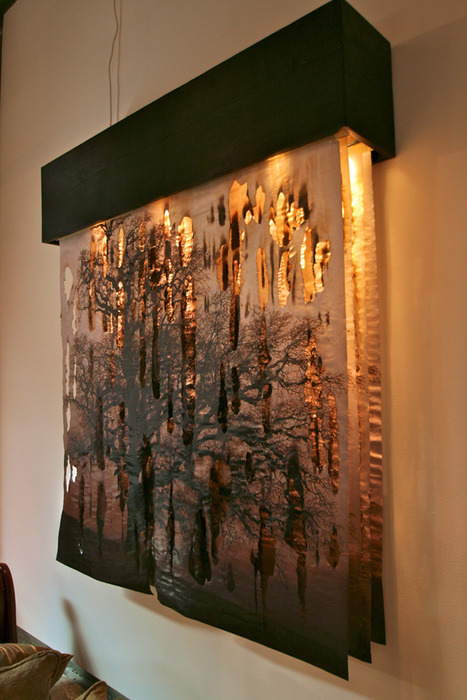 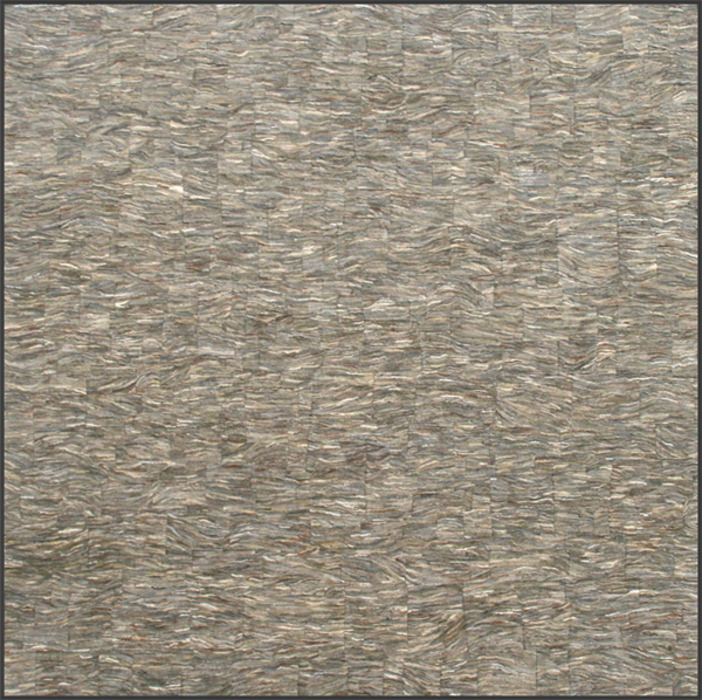 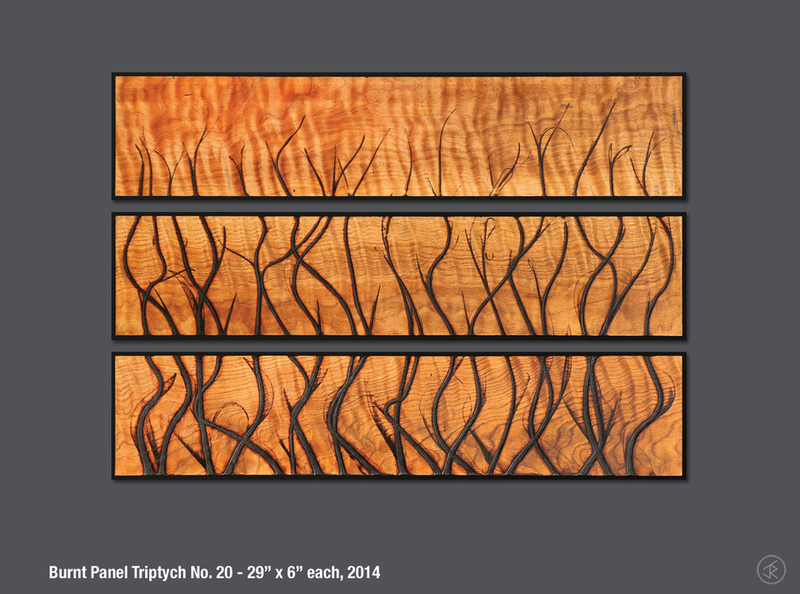 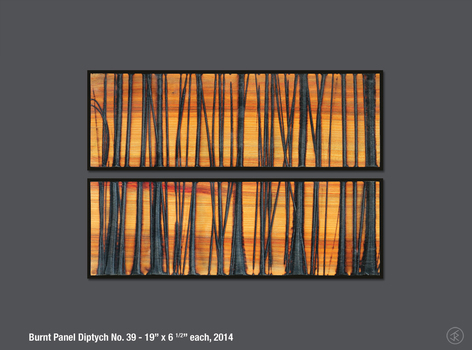 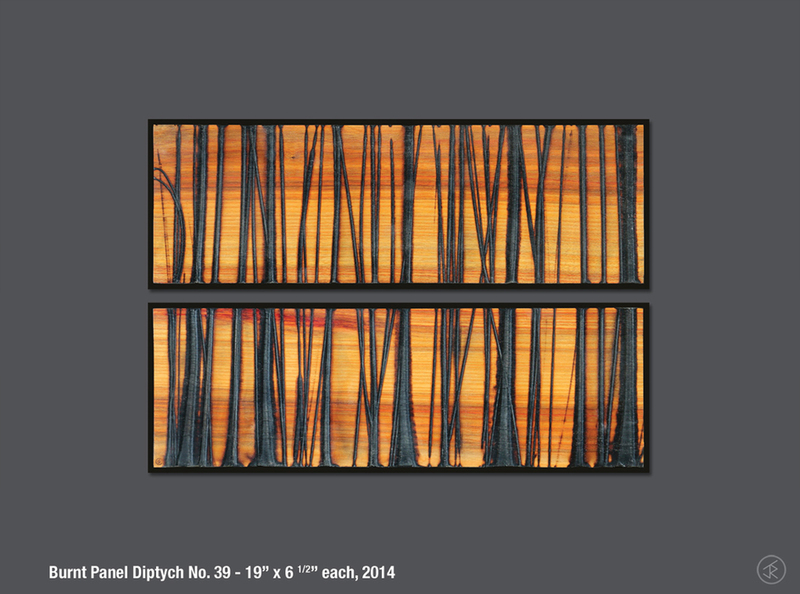 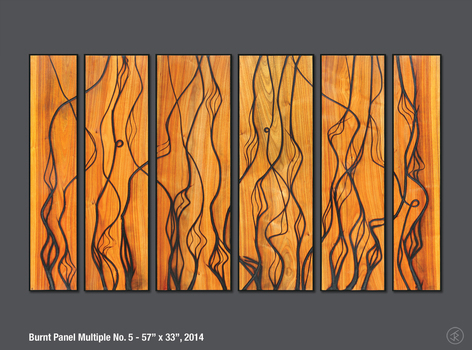 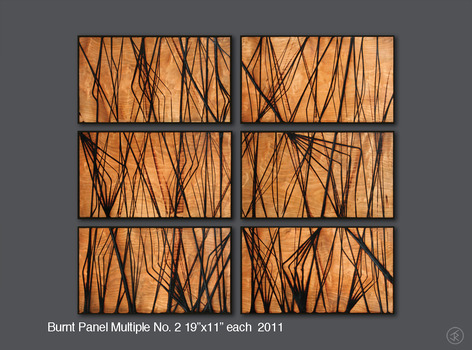 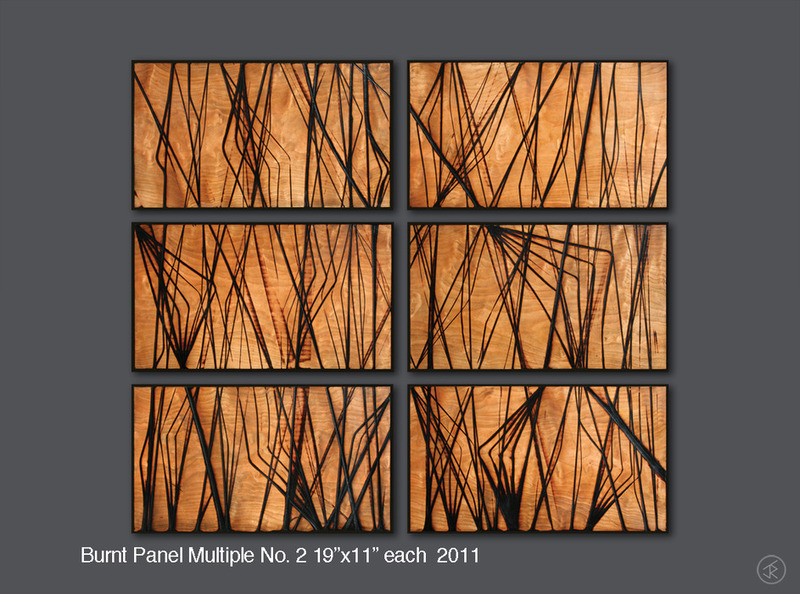 Rectangular pieces of madrone tree bark, leaves and paper from bald faced hornet's nests are separately adhered to wood canvases in a patchwork pattern, resulting in painting-like forms containing a richness and depth only matched by other natural occurring colors, textures and materials. Jonah sees the components of these works as something that simply needs to be discovered, picked up off the ground, given a little time and energy, transformed and displayed them in a way people have never seen.